Check out this fun sketch from Atlantic Hearts Sketch Challenge. It's definitely a fun one and a must to create with!! 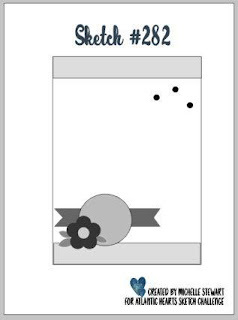 Here's my card using my version of the sketch!! Funny, there's not much stamping on this, only the sentiment. But what I love from Stampin' Up is their designer series paper and coordinating framelits which allows me to die cut images from their pattern paper...like the kitty and cauldron! Super fun!!! 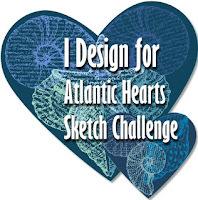 Be sure and join us at Atlantic Hearts Sketch Challenge so we can see what you create with this sketch!